There can be no doubt that the internal events at Walmart holds the key to the end game of Jade Helm operations. Jade Helm and Walmart are inextricably linked and the existing evidence suggests one of two possible end game probabilities for Jade Helm. 1. 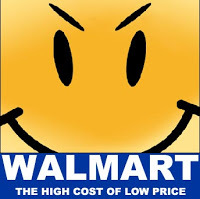 Converted Walmart stores will be processing center for FEMA camp political prisoners. In the past four weeks, I have watched over 100 videos on Jade Helm and Walmart. I have performed what researchers call a qualitative, or a descriptive analysis of the available facts. In performing this task, I have looked for patterns among the recent Walmart closings because it is clear that the closings coincide with Jade Helm. This constitutes Phase One of the analysis. In Phase Two, the findings from phase one are correlated to known or strongly suspected events connected to Jade Helm and/or other areas of concern related to national security. Subsequently, this kind of descriptive analysis can yield strong clues as to the true intent of where Jade Helm is headed and what the Walmart role consists of in conjunction with Jade Helm.